When you register [to speak], please indicate any organization that you may be representing tonight. Following the introductory remarks Emily Bauer, a USFWS ecologist, gave short, but informative PowerPoint presentation on the Miami Tiger Beetle, its habitat and threats, and why the Service proposed the species as endangered. The floor was then opened for the public comments. Here I’d like to address remarks made by three commenters: Paul Lambert, the lobbyist/head of Miami Wilds LLC, David Ceilley, a restoration ecologist, and an anonymous individual. Good evening. My name Paul Lambert. I’m here on behalf of Miami Wilds. I just want to make two comments, and if we have other comments, we will be making them electronically through the system. First of all, just a point of clarification. Miami Wilds has provided the service with plans that show the boundaries, the limits of Miami Wilds development. So to the extent that there’s no formal plans that have been submitted, that’s accurate, but certainly the limits of development have been shown to the service, and so it’s just to clarify that point, what it was. 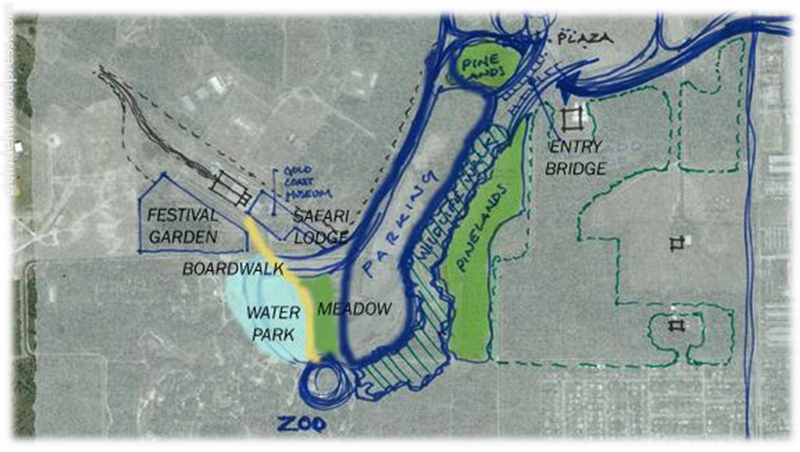 In August 2015 Jack Illes, creative partner for Miami Wilds LLC, presented a potential outline for Miami Wilds, now divided into two phases; the first consisting of a water park, hotel, retail/dining, and event complex with the second phase, if approved, containing a sprawling theme park. This outline is not sufficient for any regulatory determination and does not even begin to address the complexities of building next to a globally imperiled habitat like pine rocklands; even the basic question of how Miami Wilds management will conduct the controlled burns which pine rocklands depend upon? For Phase 1 the site outline depicts a 52 acre parking lot constructed in direct contact with pine rocklands, away from its current least-impactful location on the historic central blimp mooring pad/runway. The plan also incorrectly labels portions of the Zoo Miami pine rocklands as existing on “unaltered” substrate. Virtually all of the Zoo’s northern rocklands were historically scraped and subsequently regrew. This same regrowth can happen if the former runway is cleared and the area properly managed. In Phase 2 about two-thirds of of the remaining development area is on historically scraped/paved pine rocklands which should be considered primary candidates for immediate restoration. Under this plan for Phase 2 multiple areas of pine rocklands would be cut off or destroyed, including areas presently inhabited by endangered species. Those areas now surrounded by development could no longer burn and would degrade from adequate management, effectively rendering them destroyed. 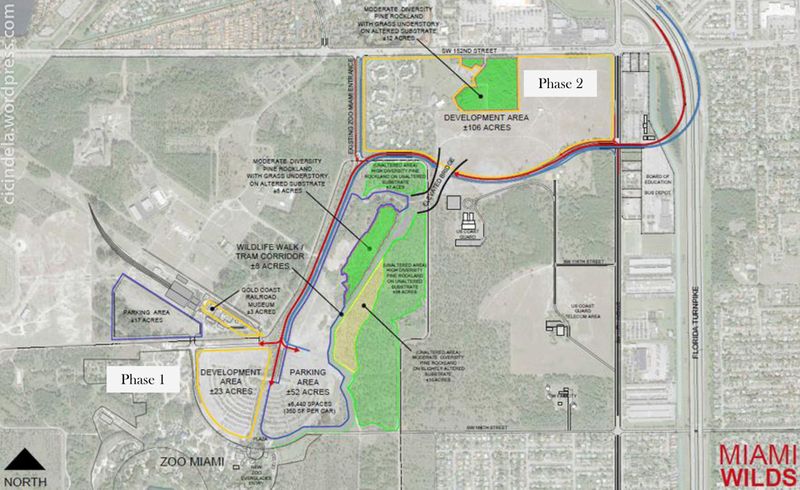 The Miami Wilds developers do not present even a preliminary plan or prevention measures to counteract water run-off from the 52 acre parking lot outlined in Phase 1 (which is direct contract with Zoo Miami’s most pristine pine rocklands) or from the numerous impervious surfaces inside the Phase 2 development area. With the abundance of rainfall in south Florida any water will run-off into the adjacent pine rocklands, porous limestone substrate, or water table and have severe disruptive consequences, both through physical damage to and contamination of the habitat. There are numerous other location where the Miami Wilds and County developers could build their full theme park unhindered by a globally imperiled habitat. My second area of clarification or comments has to do with the critical habitat rule. When the service published the proposed rule for the Bartram’s hairstreak butterfly back in 2013, both the habitat and the microhabitat were very clearly delineated from a geographic perspective within that rule. That is not the case with this proposed rule for the [MTB], and we just want to ensure that there is an opportunity to be able to comment going forward on what that delineation of that boundary is prior to the finalization of any rule, and in fact that becomes part of the final rule process, and it was clarified a little bit tonight, and that’s going to go forward, but that was our only other comment for this evening. A key distinction between the BSHB’s and the MTB’s habitat requirements is the beetles inhabit disturbed, open sandy patches in the pine rocklands; this habitat/microhabitat is dynamic, fluctuating with the season, changes in animal activity, or fires. Consequently, from a geographic perspective, the beetles may vary in their habitat as various environmental factors “push” or “pull” the adults into new areas (such as a new mammal path through the rocklands or a fire in an adjacent tract of rockland). What this means in practice is that all remaining pine rocklands may be potential habitat for the Miami tiger beetle. With the question regarding critical habitat designation, that will be a public process similar to this one. It will be noticed in the Federal Register, so there will be opportunities for people to provide comments before there is a final designation, similar to the process for this listing. So we wanted to make sure that that process was clear for folks. 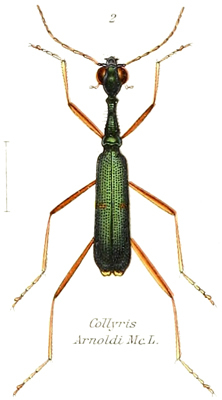 Otherwise, we also expect that the Tiger Beetle will be listed [emphasis mine], we’ve done quite a bit of research around it, and so we’re here to listen and learn more about the tiger beetle and the process through which it’s going to be listed and the protection of that beetle. I’m a restoration ecologist. I have about 26 years experience in Southwest Florida, a number of years with NGO’s, and more recently eight years as a research scientist with FGCU, and I’ve conducted two major research studies for the Fish & Wildlife Service including Picayune Strand (inaudible), but more recently on Indigo snakes at the C44 reservoir site near Indiantown. I just wanted to give you a little bit of my background. I have a question, and I understand you’re not going to answer it, but I’m going to ask it for the record. There’s a parallel process going on right now with the Florida Fish & Wildlife Conservation Commission, and their process is similar but slightly different, and I understand that they’ve commissioned a three-member biological review team to look at the status of the petition listing, and they’ve recently expanded that team to seven members, and they expanded that team to seven members with some basic concerns. That the original type specimen, the type of locality for Frank Young’s collection came from what he described as a sands hammock, and if you map it, it was particularly north of Barry College. It was actually not in pine rockland. I’m not saying they don’t live in pine rockland … but maybe we need to expand our survey efforts to include areas outside of pine rocklands and preserve those habitats as well. But my question is are you going to coordinate your listing efforts with the state efforts given the fact that this is an endemic species found nowhere else, apparently, in the United States or the globe even, and if so, how would that process lay out, who would take the lead, and there’s a lot of questions, because there’s two parallel processes at the State level and the Federal level. I thank you for your time and I think this is a great idea to have these types of public hearings. Thank you. There is no name, address, or affiliation given (above). Mr. Anonymous accuses the Petitioners of “misrepresenting” the type habitat and altering historic pine rocklands distribution maps, a serious charge if true (above). Mr. 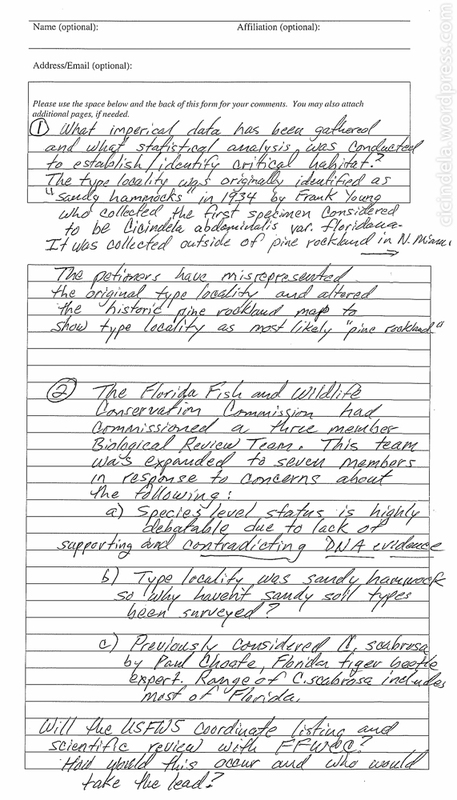 Anonymous then goes on to note the Florida Fish and Wildlife Conservation Commission has expanded its Biological Review Team from 3 members to 7 members and alleges it is due to questions about the MTB species status, type habitat, and previous classification of the species (all point’s I’ve previously responded to here). He also raises the question of which agency will take the lead, USFWS or FFWCC. The third result on Google is Mr. Ceilley’s LinkedIn page, which listed his affiliation right in the preview; I almost couldn’t believe it. Johnson Engineering is a familiar name to anyone following the MTB story since Ram Realty, the developer behind Coral Reef Commons (CRC), retained this firm to (inadequately) survey the CRC property and write a biased Habitat Conservation Plan (I’ve dissected this HCP in an earlier post here). Church Roberts, director of Johnson Engineering environmental consulting team was even featured in a video tour of the CRC site which accompanied a Ram Realty Services corporate press release (this video has since been taken down for unknown reasons). Mr. Ceilley’s clearly not shy about his position; he’s listed it prominently on his Facebook (above). And on Johnson Engineering’s website there is his bio, including the same “background” presented at the hearing, and a recent photo; with these details there is no question of his affiliation with Johnson Engineering and Ram Realty. I’m saddened to see Mr. Ceilley can be paid to disregard the best available science and professionally “claim ignorance” of the recent developments concerning the Miami tiger beetle. Mr. Ceilley’s presence at the hearing is doubly incriminating as Ram Realty/Johnson Engineering still maintain the Miami tiger beetle is not, nor ever was found on their Coral Reef Commons property, yet they continue to meddle in the official Federal listing process, from the submission of our Petition through this hearing, and undoubtedly into the future. (1) What imperical [sic] data has been gathered and what statistical analysis was conducted to establish/identify critical habitat? The critical habitat designation process is separate from this proposed listing; however, the Miami tiger beetle’s general habitat and microhabitat is well-known and concisely summarized in the USFWS listing proposal (80 FR 79533). 1. Ecologists will offer professional advice and guidance only on those subjects in which they are informed and qualified through professional training or experience. They will strive to accurately represent ecological understanding and knowledge and to avoid and discourage dissemination of erroneous, biased, or exaggerated statements about ecology. 5. Ecologists will not fabricate, falsify, or suppress results, deliberately misrepresent research findings, or otherwise commit scientific fraud. Frank N. Young Jr. collected this species while he was an 18 year old student and gave only vague locality information on his labels, but by cross-referencing the exact location he noted in later correspondences with aerial images I’ve confirmed the type habitat, ruling out any possibility that it was “sandy hammocks.” Furthermore, here are images from Barry University in the early 1940s, showing pine rocklands only four blocks away from Young’s collection site. As with other similar Cicindela groups, these three sister species were not clearly separable by mtDNA analysis alone (Knisley 2011a, p. 14). The power of DNA sequencing for species resolution is limited when species pairs have very recent origins, because in such cases new sister species will share alleles for some time after the initial split due to persistence of ancestral polymorphisms, incomplete lineage sorting, or ongoing gene flow (Sites and Marshall 2004, pp. 216–221; McDonough et al. 2008, pp. 1312–1313; Bartlett et al. 2013, pp. 874– 875). The most current peer-reviewed scientific information confirms that Cicindelidia floridana is a full species, and this taxonomic change is used by the scientific community (Brzoska et al. 2011, entire; Bousquet 2012, p. 313; Pearson et al. 2015, p. 138; Integrated Taxonomic Information System (ITIS), 2015, p. 1). b) Type locality was sandy hammock so why haven’t sandy soil types been surveyed? Extensive surveys were conducted in both scrub habitats and most of the pine rockland sites in Miami-Dade, Ft. Lauderdale and Palm Beach Counties (Knisley, 2008). Most were unsuitable probably because they were too densely vegetated or the substrates were mostly oolitic limestone rock with few or no sand patches. 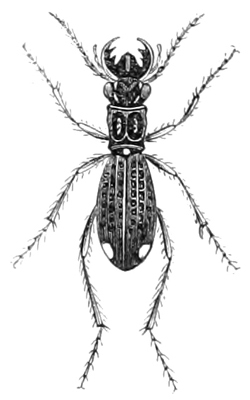 c) Previously considered C. scabrosa by Paul Choate, Florida tiger beetle expert. Range of C. scabrosa includes most of Florida. While Ci. scabrosa does occur throughout much of Florida its range does not overlap with the MTB, and this species does not even occur in the same kind of habitat. Will the USFWS coordinate listing and scientific review with FFWCC? How would this occur and who would take the lead? … [W]ith regards to cooperation with the State, we do cooperate with the State lockstep. We try very hard to make sure that they’re involved in our processes, and they ask for our involvement with theirs. So we will coordinate those efforts, but they are indeed separate and parallel processes, so just know that we do work closely with our colleagues at State agencies. If, at any point during this process, the USFWS does list the beetle as endangered or threatened, our listing process would be suspended and we would instead have a consent agenda item for consistency, and request the addition of the Miami tiger beetle to the Federally-designated portion of our state list. 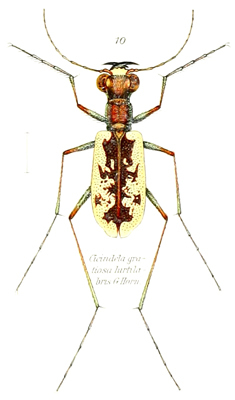 Contrary to the developer’s repeated insistence, altered pine rocklands, the only home of the Miami tiger beetle, are not beyond restoration. Developing a majority of the Richmond Heights pine rocklands for private gains is not an appropriate answer. With adequate management and protection from any further development these globally imperiled forests can be restored. Let’s afford one of the rocklands endemic inhabitants, a beetle once presumed extinct, full Endangered Species Status and help save this irreplaceable piece of Florida’s natural history. Especially in light of Ram Realty/Johnson Engineering/David Ceilley’s (continued) dishonesty please consider submitting your MTB comments to the USFWS. Their public comment period is still open (until February 22, 2016). Just go to the official site and click comment now. This entry was posted on February 7, 2016 by chris wirth. It was filed under conservation, tiger beetles and was tagged with cicindela floridana, cicindelidia floridana, conservation, Coral Reef Commons, development, floridana, habitat, hearing, miami tiger beetle, Miami Wilds, miami-dade, pine rockland, pine rocklands, Ram Realty, usfws. Looks like an act of desperation…and highly unethical if a paid consultant is NOT disclosing his relationship with developers at a formal Federal Hearing and possibly leaving unsigned “anonymous” comments on an official government proceeding.